We love KitchenAid's Stand Mixers here at T3.com (check out where it comes in our stand mixer buying guide) and the brand has just announced a sleek limited edition. Called the Black Tie, it's made from even more premium materials than the standard unit, including die-cast zinc, satin and black chrome, and finished with a stunning cast iron like texture. It's quite a looker, and decidedly more macho than KitchenAid's other colourways (if that sort of thing matters to you). We could definitely see it fitting it James Bond's bachelor pad. The limited edition model includes a 4.8L black stainless steel bowl, black coated beater and dough hook. Each model will be individually numbered, and include a commemorative card signed by John McConnell, Senior Design Manager and Ken Hossler, Senior Director of Manufacturing. 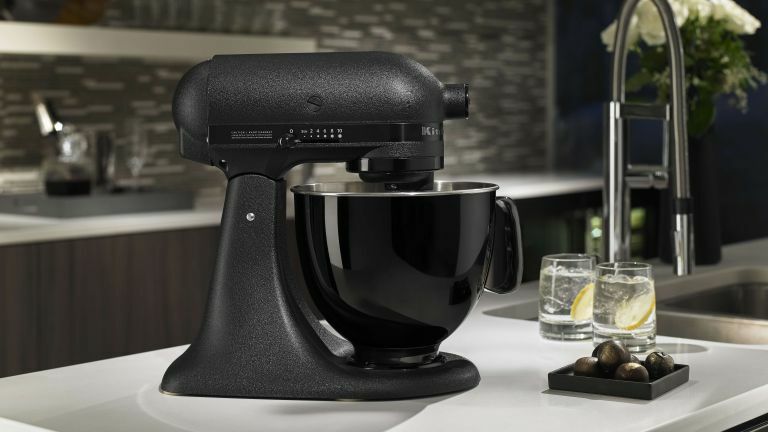 “The Artisan Black Tie’s classic design and bold, all black finish represents a modern and sophisticated take on the classic Stand Mixer,” says McConnell. The Black Tie is available this month, only 1000 Stand Mixers will be sold in Europe and 200 in the UK.